Preheat oven to 350°F. 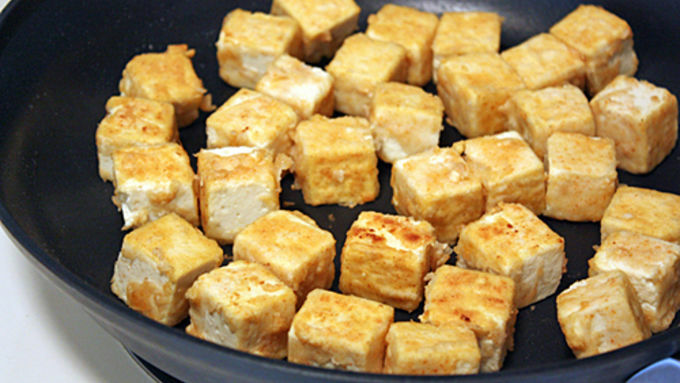 Toss tofu in a large bowl with flour and salt. Heat vegetable oil in a large skillet. Shake off excess flour from tofu and place in a single layer in hot skillet. Saute until golden brown. Spray a non-stick baking dish with cooking spray, then transfer tofu to baking dish. 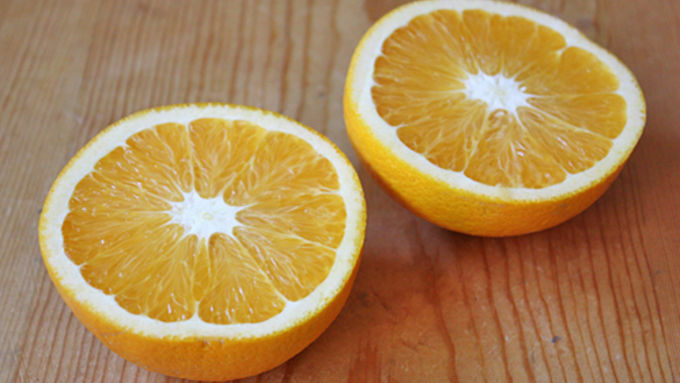 Squeeze the juice of an orange into the skillet with the leftover oil/juices and simmer until you have a slightly thick sauce. 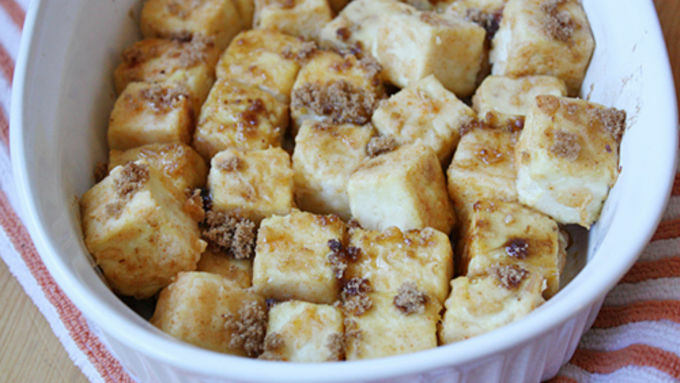 Pour the sauce evenly over the tofu and top with brown sugar. 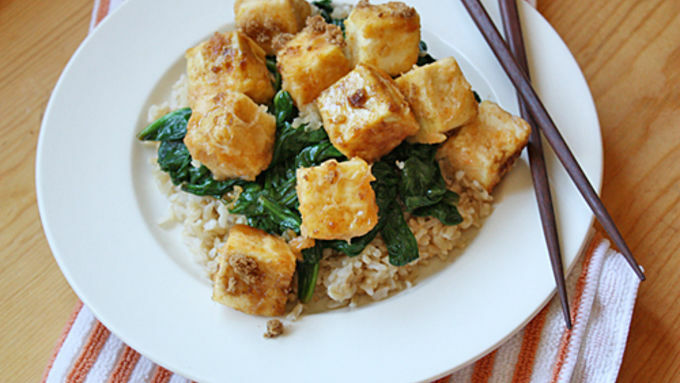 Bake tofu in oven for 15 minutes until brown sugar-orange glaze starts to caramelize. As a reporter by day, foodie by any other time of day or night, I get to meet a lot of interesting people. From clowns to professional pianists to sculptors of giant rocks (oh yeah, that happened), the characters I encounter at my job never cease to surprise me. There was one interviewee in particular with whom I was most taken aback. When I asked this chef/owner of a French restaurant to tell me the one food he will never eat, his answer was: Tofu. Gasp! Clearly he’s never tried Brown Sugar-Orange Tofu. I know there are some real tofu-haters out there, but if ever there was a recipe to convert one of them into a fan of the vegetarian food, this would be it. I know that’s a tall order, but one bite of a piece of baked tofu doused in a sweet, sugary, citrusy glaze and you’ll understand its power. It’s that good. There are two things I love most about this recipe: The first is the taste, which has the uncanny ability to make you forget that indeed, this dish is actually very healthy. The second is that it’s reminiscent of orange chicken, one of my favorite Asian dishes that I’ve had to let go of since becoming mostly vegetarian. Sure, it doesn’t taste just like the real thing, but if I’ve got a hankerin’ for some sweet orange glaze (and I do, more often than I care to admit), this recipe hits the spot. I also love that I can have this seemingly complicated (yet oh-so-easy) recipe on the dinner table in a mere half hour. So I guess that makes three things I love about this recipe. A win-win-win. 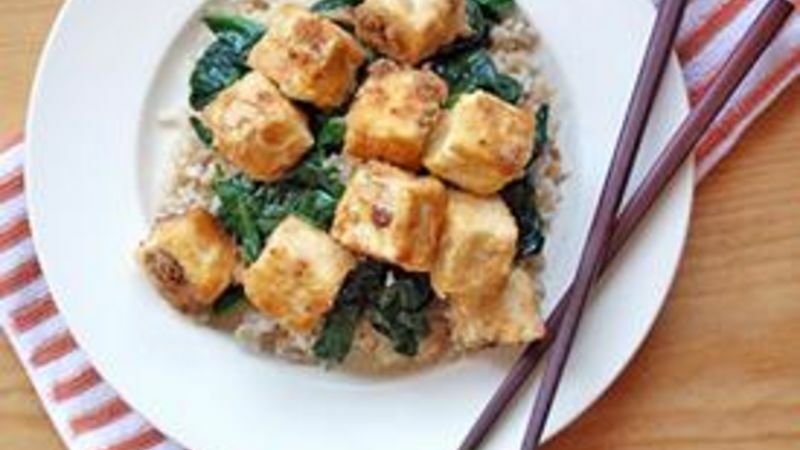 So for all you characters out there who have a beef with tofu, give this recipe a go. After all, tofu is a character worth getting to know!